Evan Puschak is known on YouTube as “The Nerdwriter“. 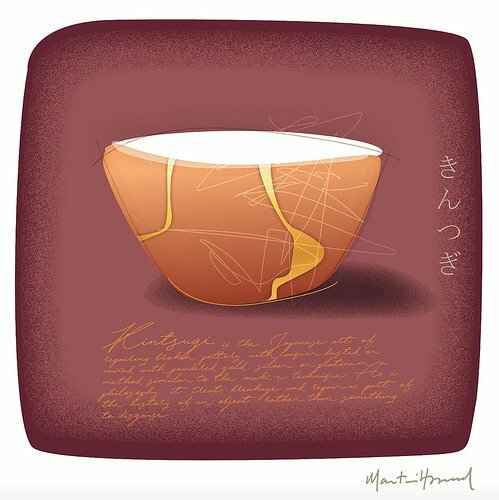 In his video below, he describes Kintsugi, the Japanese art of repairing broken pottery with lacquer mixed with powdered gold. The pottery is made both stronger and more beautiful. He explains how this art form is related to the traditional Japanese concept of beauty known as Wabi-sabi, based on the acceptance of transience, imperfection and incompleteness. By acknowledging and understanding our wounds, we can grow to become both stronger and more beautiful.